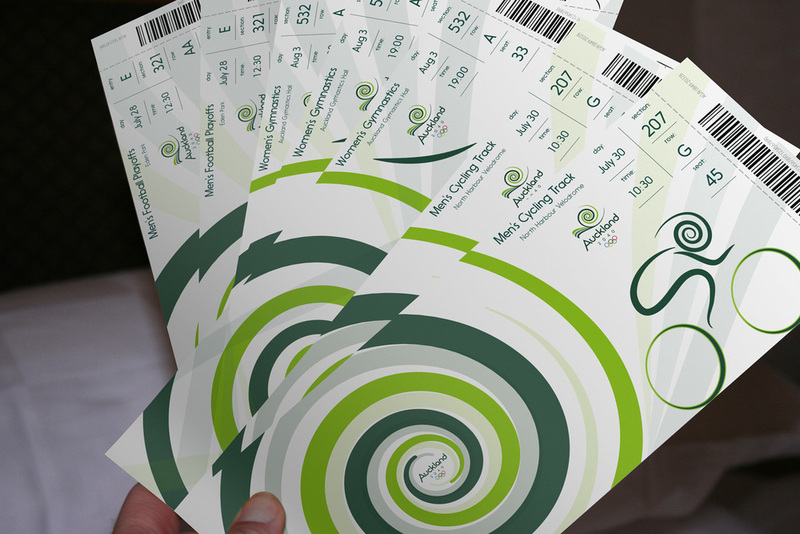 Project for the Design Communication Arts certificate program at UCLA Extension. 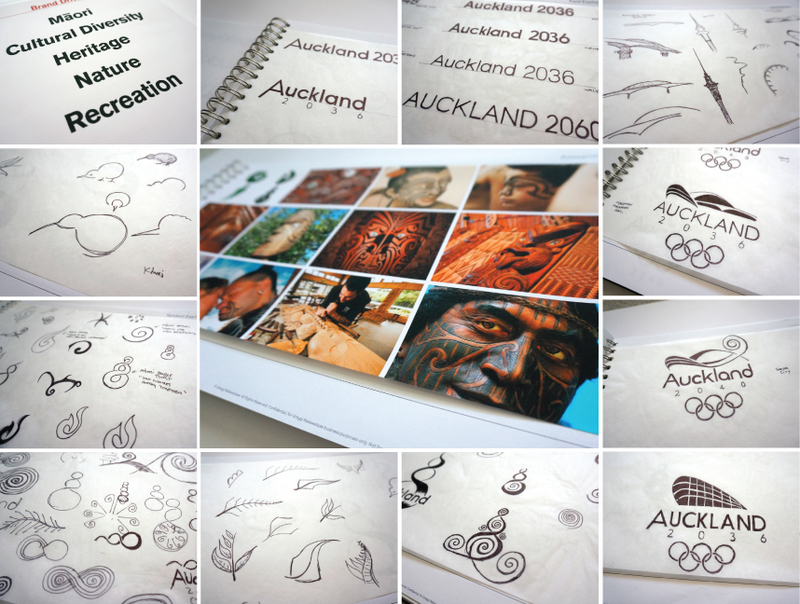 Logo and collateral design for the 2040 Olympic Summer Games in Auckland, New Zealand. Inspired by the indigenous Maori culture, the city’s modern architecture, and the country’s stunning landscapes. The spiral is an important shape in the Māori culture and represents new life, growth, strength and peace. 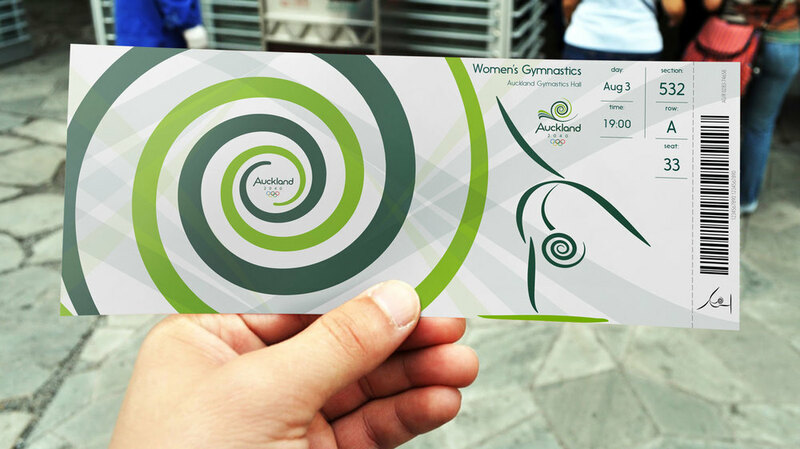 The entire symbol represents a curl of a new frond of the silver fern which is New Zealand's national symbol. 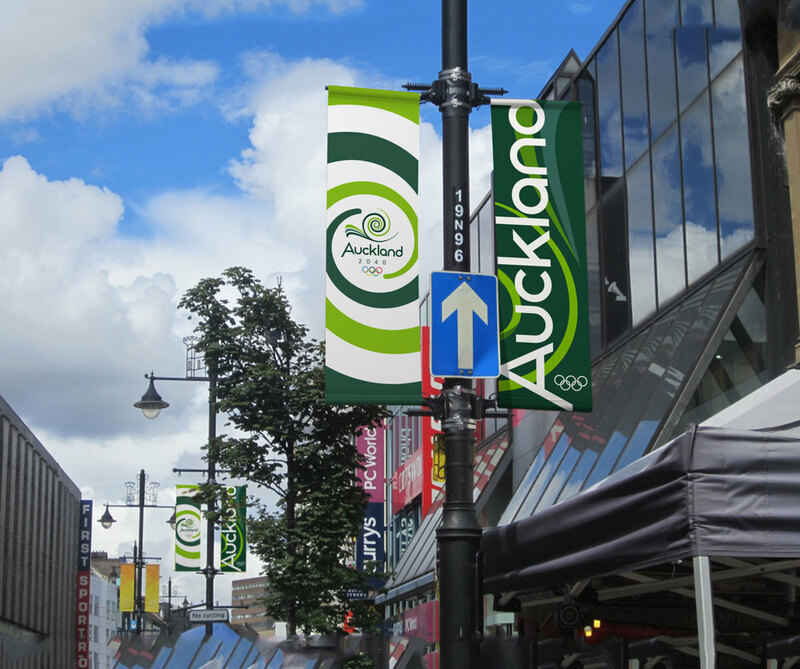 The point at the top of the "A" represents the numerous volcanoes that can be found throughout the city of Auckland and New Zealand.